Enhancing business networking in the Lac Léman region and beyond. We are pleased to announce that Tom Rosenfield has been selected by the Committee as our new President as of January 1, 2019. Tom brings long experience to the post as he has been a member since 1985 and Vice-President for the past eight years. 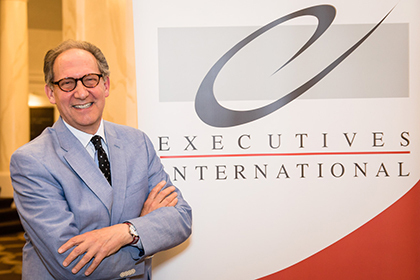 "Executives International has a great history. Together with the hard-working Committee, we seek to be both custodians of the tradition and yet visionaries to ensure a solid future for EI." In 2019 we also welcomed two new committee members to EI: Mark Kissack and Stephan Kreuzberg. Both Mark and Stephan bring a range of skills and knowledge that vastly benefit EI. Sign-up to the latest news and upcoming events. Copyright © 2019 Executives International. All Rights Reserved. | Web Design & Online Marketing by UrbWorks.